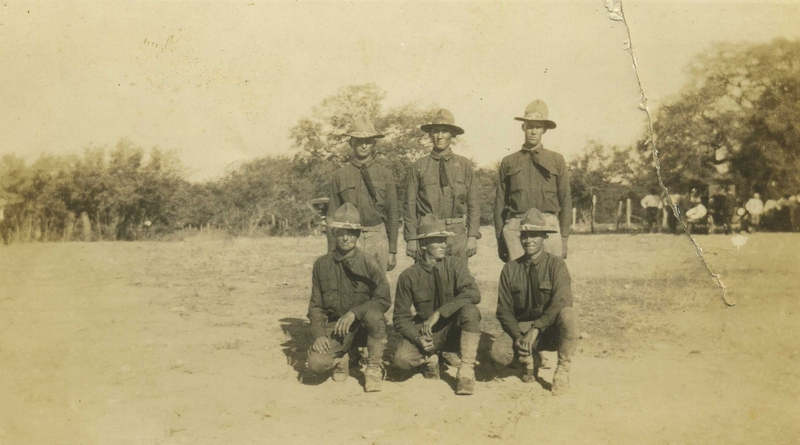 Group of WW I veterans. Max Henry Braeutigam is kneeling at the lower right. If you are able to indentify anyone in this photo (WWI_veterans), please send the information to webmaster.